The monthly issue of MeetingsNet is available now! What’s great about our new interactive magazine? What is the interactive magazine? How is it different from MeetingsNet’s print magazines? 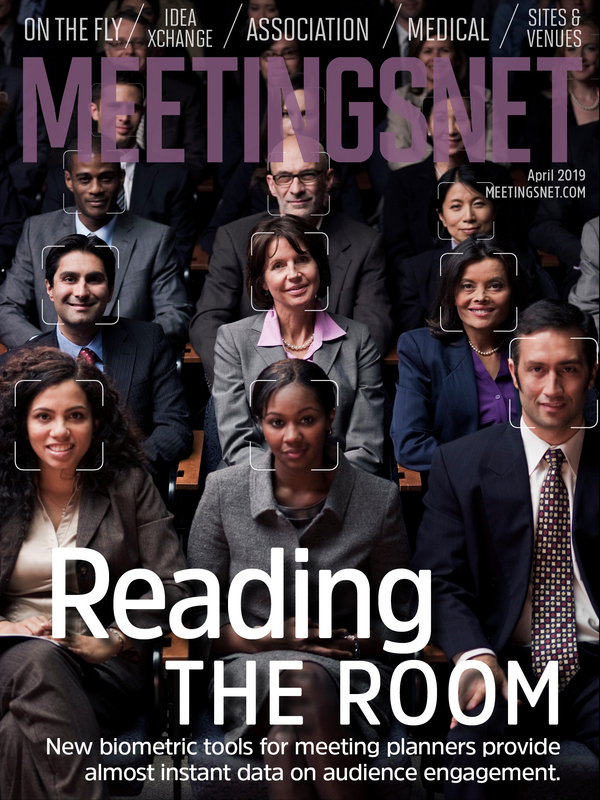 The MeetingsNet app is a rich and engaging mobile magazine designed to help you, our meeting professional readers, do your jobs better and more efficiently. Every month our editors and designers create a package of articles, photo galleries, videos, and other interactive content ranging from how-tos, to case studies, to innovative event ideas, to the very latest trends in meetings and meeting management. And every monthly issue covers every meeting niche—corporate and incentive, financial and insurance, medical, association, and SMERF—plus regular features on merchandise and gift cards, meeting sites, technology, industry research, and so much more. Our app is not a replica of any of our print magazines—it’s a whole new world of content, ready to travel with you on your tablet or smartphone. What devices are compatible with the interactive magazine? The MeetingsNet app is available for iPad and iPhone, Android tablets and smartphones, and the Kindle Fire. Where can I get the interactive magazine? What does it cost? Do I need to be a subscriber? The app is free to all, with the option to “purchase” a free one-year subscription for your device. How do I navigate within an issue? Swipe your finger horizontally across the screen to move to the next article. Swipe your finger vertically along the screen to read more of the current story. Tap anywhere on the screen once to view the navigation bar at the top, from which you can revisit the store, view contents or your bookmarks, or jump to MeetingsNet.com for the latest news. At the bottom of the screen you’ll find thumbnails of all the pages in an issue. Slide the thumbnails horizontally to find the page you wish to view. If your questions have not been addressed on this page, please contact us. I’ve downloaded the app, but I’m having trouble accessing the issues. First, make sure you’ve got the latest version of the app by going into the App Store and checking the “Updates” tab in the lower right corner. Also, the app works best if you have the latest version of iOS. When you have downloaded issues, they should appear in the “Library” section of the app interface. To access this section, tap the screen once, then tap the “Library” button in the navigation menu at the bottom of the screen. A “Download” button should appear next to available issues. Once downloaded, you can tap the “Read” button to open them. If they do not show up there, you can hit the “Missing Issues?” button in the navigation menu at the top of the screen and sign in with the iTunes account you used to acquire the subscription or single issue. That should reset your permissions and make the issue or issues available for download. My issues are stuck in download. Delete the app, restart your iPad, and redownload the app and issues. If that doesn’t resolve the problem, it could just be that the server where we store our issues in your area is moving slowly at the moment, or your Internet service provider (ISP) is throttling your bandwidth on large downloads. In that case, simply try again, or attempt the download at a later time. Also, issues should keep downloading when the iPad goes to sleep, but not if you quit the app. I am not seeing any new issues in the library. Completely quit your MeetingsNet app. You can do this by double-tapping the iPad or iPhone's home button, pressing and holding the app icon, then tapping the "x" on the MeetingsNet app to quit. Then relaunch the MeetingsNet app. My interactive magazine keeps crashing. Make sure your device is running the latest version of iOS – currently 7.0. I cannot hear sound on embedded videos. The most likely reason is you have audio set to mute on your device. Toggle the switch on the right hand side of your iPad or left hand side of your iPhone to turn the sound on. If you downloaded the latest version of the app and cannot read any issues, please clear your app's data and redownload. I am stuck on the How-To screen. If you are presented with the How-To page when you launch the app, press and hold your finger on the screen until the on-screen menu appears. You will then have the option to go to the store, library or sign in to your account if you are a subscriber. My issue gets stuck importing or takes forever to import. Check that you have a strong wi-fi connection, and then let it run. It may take a while to fully download, depending on the number of added multimedia features in the issue. I can access the menu, but I am not seeing anything on the store or library. Try to clear the application's data and cache in your device’s settings. Then relaunch the MeetingsNet interactive magazine. Subject: January MeetingsNet app: Congratulations! Just read through the whole issue – loved it! I am very pleased to have been part of the inaugural issue! Just to say that I have now downloaded the app and it is really great. I love the way you have put it together – very different, very smart. I hope it is a great success for you. Now the interactive magazine: it is amazing. All is superb, but the article itself is just unbelievable. It works so well in that format and looks just the business! (Plus I love your “concession to their spelling ‘cos they are British!”) We really love it. Thank you. The interactive magazine looks great. Congratulations to you and your team for pulling that off. I love the use of white space and the funky typefaces. Naturally we LOVE the IMEX road warriors piece. It’s so nice to have the chance to shine the light on others in the IMEX ‘family’ and for your readers to get to know them in a less formal but hopefully informative way.